Home > **50% OFF! ** VINTAGE PATTERNS For Women & Kids > **50% OFF! 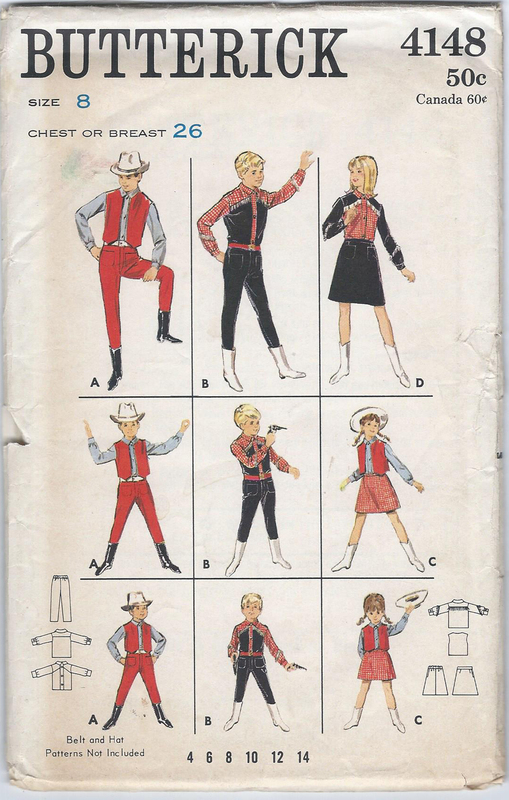 ** VINTAGE PATTERNS for Children > Butterick 4148 Boy's & Girls's Cowboy Costumes, Chest 28"
Size 8 Chest or bust 26"